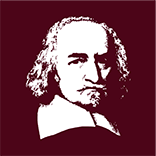 Call for abstracts & registration for a half-day workshop on Hobbes in Amsterdam next February, with a keynote presentation by Professor Arash Abizadeh. An open letter by S.A. Lloyd and A.P Martinich urging editors not to require references to the Clarendon edition of Leviathan (this is a revised version of a letter previously circulated elsewhere). Now with responses by Daniel Garber, Patricia Springborg, Justin Champion, Noel Malcolm and open for further comments. Arash Abizadeh concludes this online colloquium on Hobbes and the Two Faces of Ethics with a reply to his critics. Daniel Eggers comments on Hobbes and the Two Faces of Ethics, in the penultimate entry to this online colloquium. Michael LeBuffe comments on Hobbes and the Two Faces of Ethics, in the third entry to this online colloquium. Sandra Field comments on Hobbes and the Two Faces of Ethics, in the second entry to this online colloquium. Arash Abizadeh introduces his recent book, Hobbes and the Two Faces of Ethics, to begin this online colloquium. In the final contribution to this colloquium, David Boucher replies to his critics. David Dyzenhaus comments on Appropriating Hobbes, in the penultimate entry to this online colloquium.